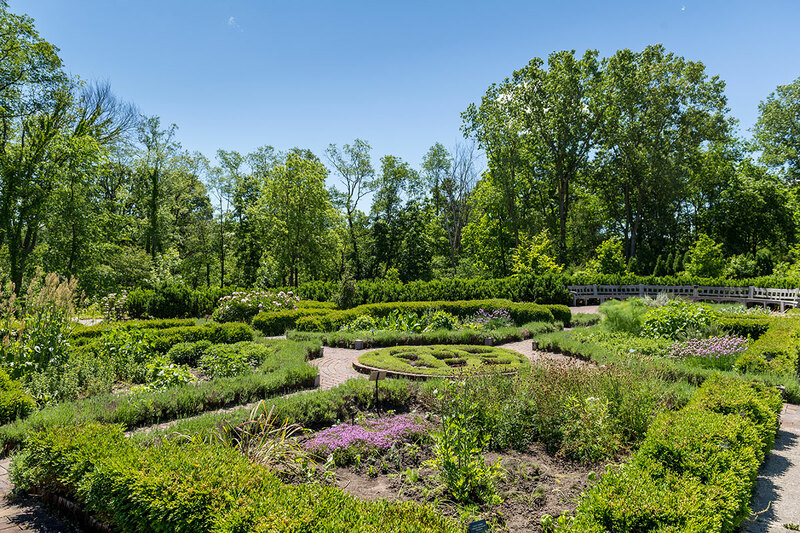 Every culture has traditional herbal remedies. 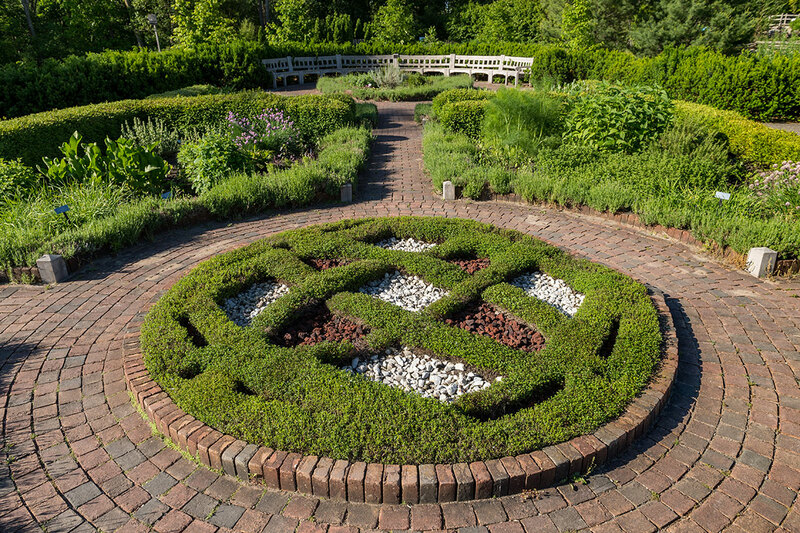 Our herb knot garden is a modern interpretation of a 16th-century English Tudor garden style. 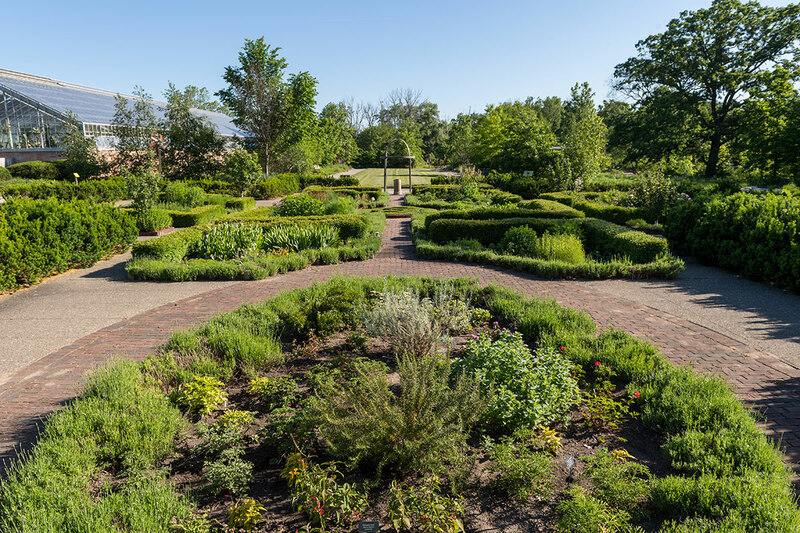 It features plants used in Asian, Native American, and European cooking and healing traditions. 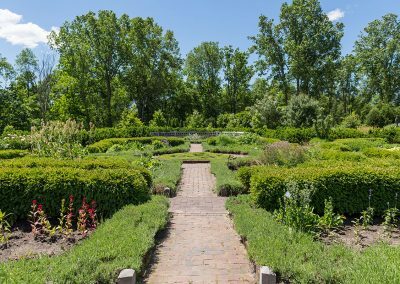 Centuries of research, originally based on plants from gardens like these, provide the foundation of modern pharmaceuticals. 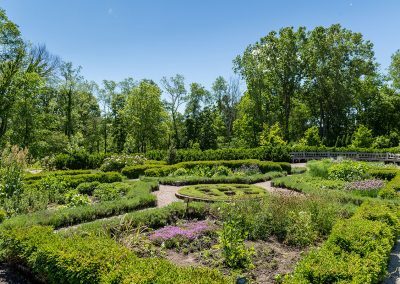 The peak season is mid-June through July when the lavender is in bloom and the culinary herbs are lush and fragrant – please touch and smell! 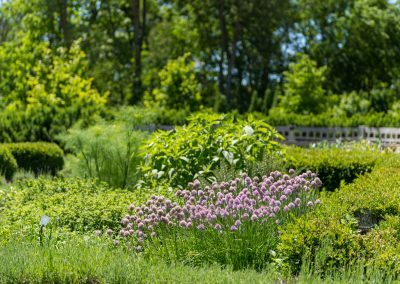 As the summer progresses, the insects put on a major show as they visit the flowers. 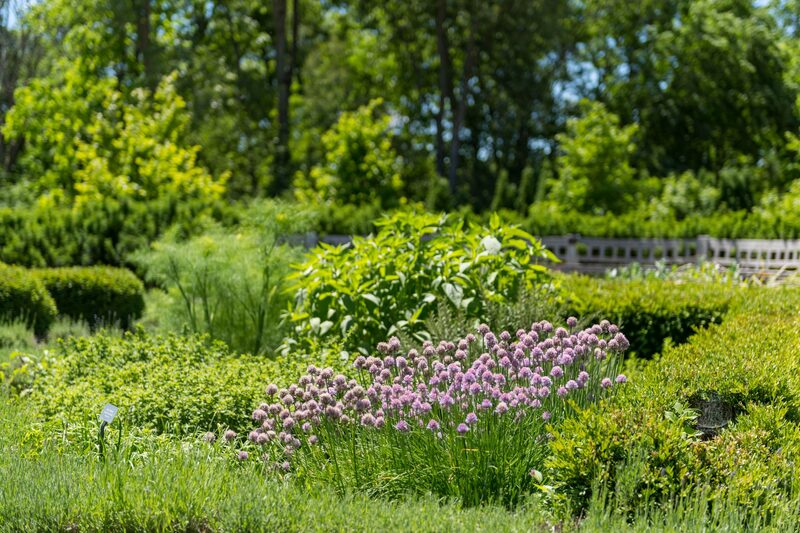 At this season the scents from the plants linger in the humid air. 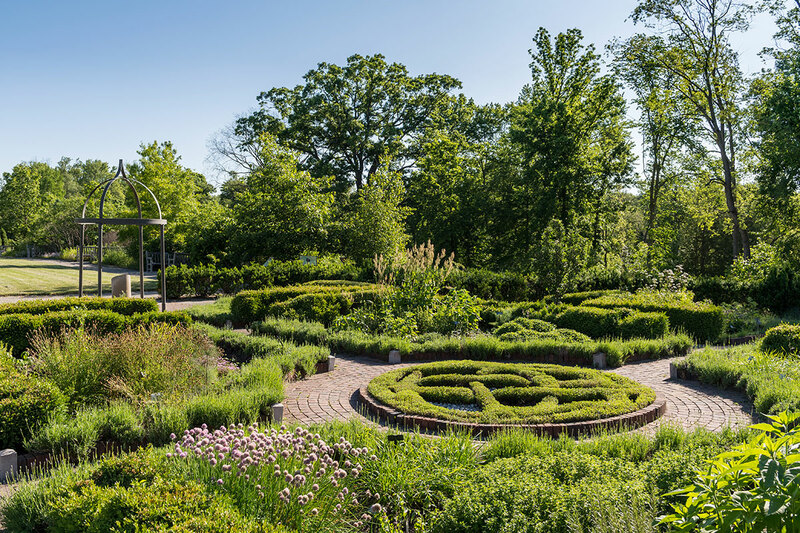 A special treat is the center knot meticulously trimmed by our volunteers. 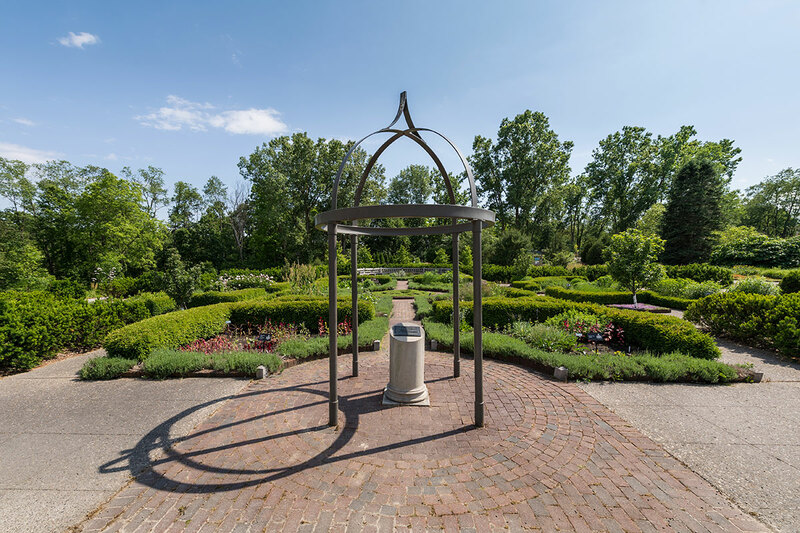 The herb garden is also a favorite spot for weddings. 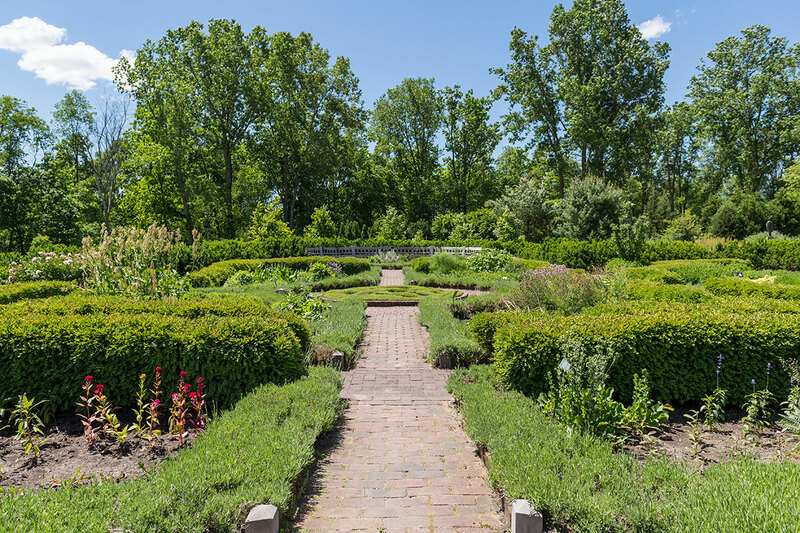 Scroll down for more photos of the herb garden. 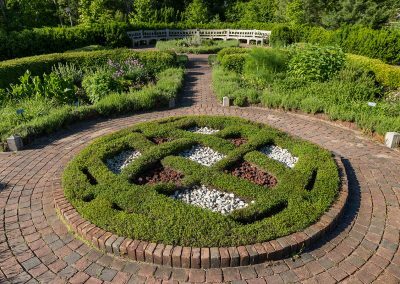 The Alexandra Hicks Herb Knot Garden is at the Matthaei Botanical Gardens site. 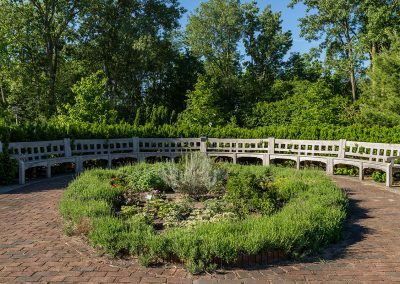 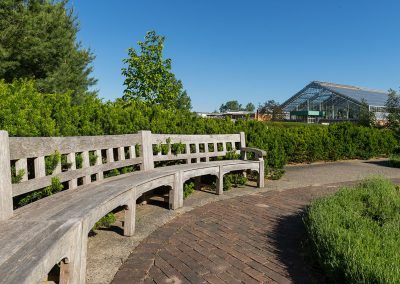 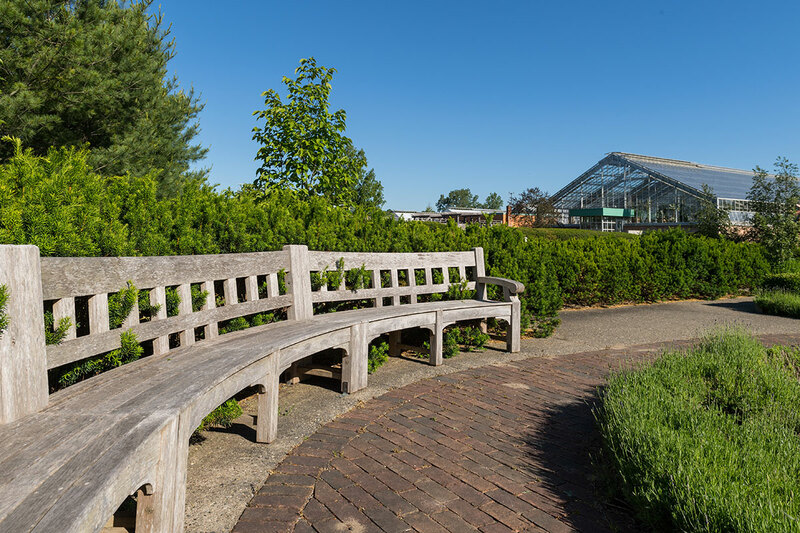 The Alexandra Hicks Herb Knot Garden honors “Sandy” Hicks (1934-1991) and her keen interest in herb gardening, culinary arts, healing plants and her enthusiasm in sharing these interests with others. 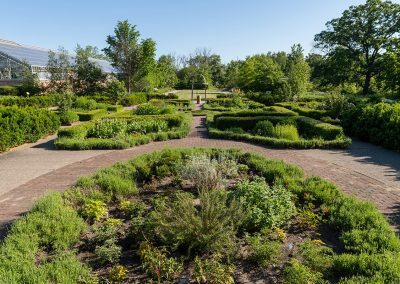 Sandy was a past president of the Herb Study Group at the Gardens. 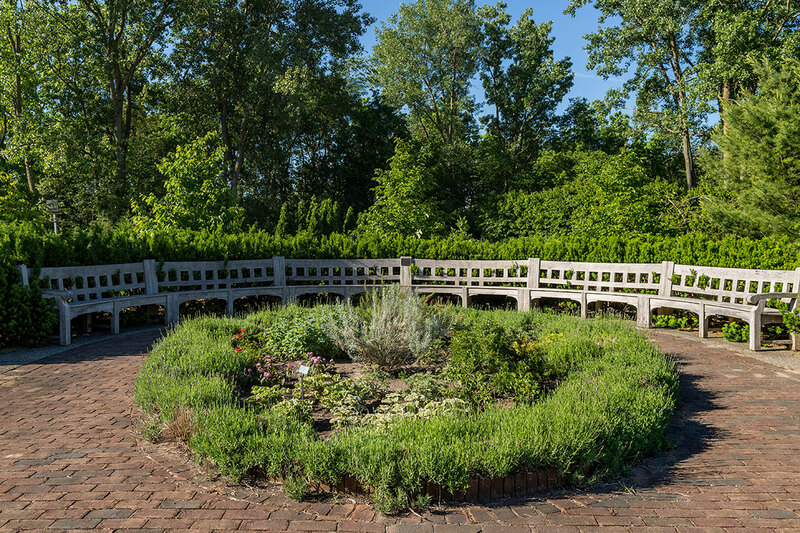 Gifts donated in memory of Sandy helped fund the creation of this garden.